This series brings major theorists from the social and political sciences to critical studies of educational leadership, management and administration. 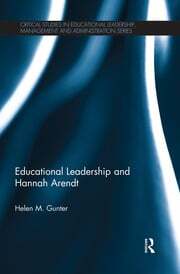 The books provide accessible introductions to key theories combined with explanations of what they offer that will deepen, enliven and enrich studies of schools, further and higher education and adult and community education settings. 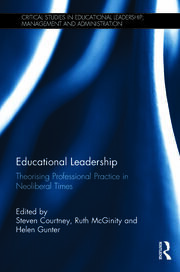 Topics covered are those which affect the everyday practices of leaders - social justice, media, markets, surveillance, values, communication, entrepreneurialism, risk management and accountability. 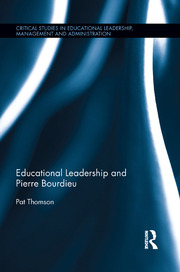 The series provides theoretical and methodological resources for those who engaged in formal study of educational leadership, management and administration. 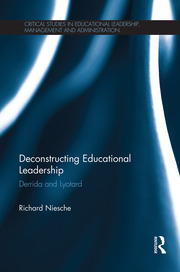 It also offers alternative approaches to naming, framing and acting for those who are engaged in the practice of educational leadership, management or administration, or who are providing training and policy for practising educational leaders.